to get rs.40 sign up coupon download from this link is mandatory ! Open app and click on top right hand side corner and verify your number ! U ll get a rs.40 paytm coupon through app notification ! Start referring ur friends ! Otp verification is must for getting coupon ! You will get signup Coupon of 40 Rs withing 2 mins but referral coupon will reflect in account within 24 hrs ! Use coupon code on add money Tab. ShopInSync (ShopInSync.com) a product of ShopInSync Inc. offers users the convenience of one stop shopping destination across leading e-commerce websites & apps across millions of products, with the ability to easily compare prices. It also helps connect users with their friends and family through an integrated messaging service to offer them assistance for making the best purchase decisions. ShopInSync app is currently available Android™ and iOS devices. 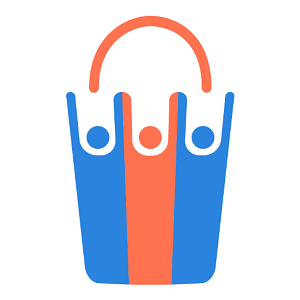 ShopInSync is India’s first comprehensive and connected platform that lets users shop from leading E-commerce sites like Flipkart, Snapdeal, Amazon & others, with the ability to share products and chat with friends and family. Share full product details with real time price and availability, details/ specifications, similar products information in one tap. Say good bye to static screenshots. Discover great deals from top ecommerce sites, across categories, updated daily. Search for products by just speaking into your phone, or search using our powerful search assistance feature. ShopInSync is fast and easy to use and works great even on slow connections, saving you time and money.